A rather fascinating article by Dr. Paul Robbins on The Breakthrough website looks at the next great global change that will have a very significant impact on the global economy, the "baby bust". 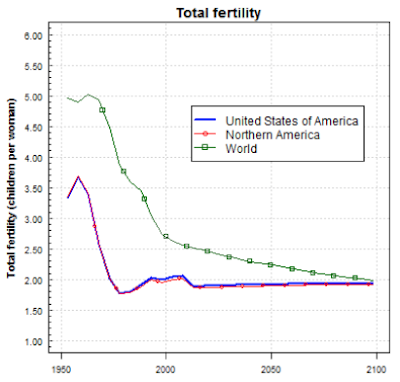 According to the World Bank, the annual population growth rate in the United States has dropped from 1.1 percent in 1990 to 0.7 percent in 2014, a 36 percent decline. "More dramatically, in 2014, a majority of nations in the world reported fertility lower than the replacement rate, the tipping point between a growing and shrinking population (a fertility figure slightly more than 2.3). 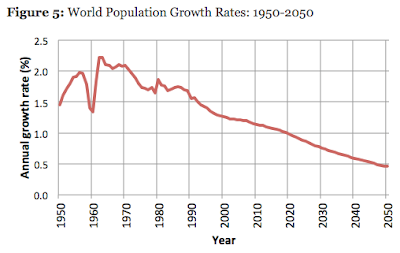 More countries are now shrinking than growing. In fact, national fertility rates are now at or below replacement in a huge range of countries that, until recently, were growing by leaps and bounds, including Tunisia, Iran, and Vietnam.lower than the replacement rate, the tipping point between a growing and shrinking population (a fertility figure slightly more than 2.3). More countries are now shrinking than growing. 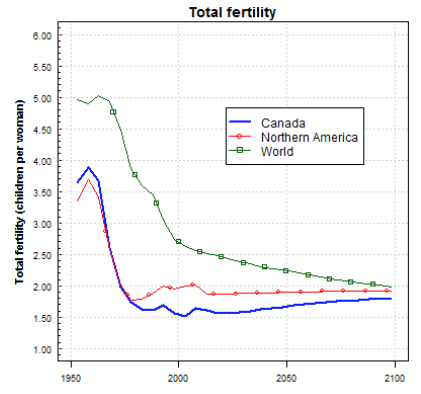 In fact, national fertility rates are now at or below replacement in a huge range of countries that, until recently, were growing by leaps and bounds, including Tunisia, Iran, and Vietnam." By 2050, the PSR will fall from 12 to 4 meaning that there will be a near tripling of the economic and care burden placed on the younger generation when compared to 1950. 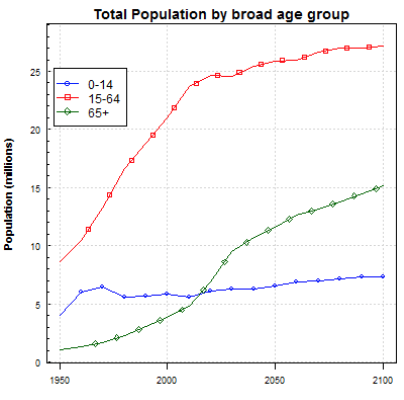 Obviously, providing health care, economic support and other key services will prove to be increasingly difficult as fewer and fewer prime-age people are supporting more and more elderly. 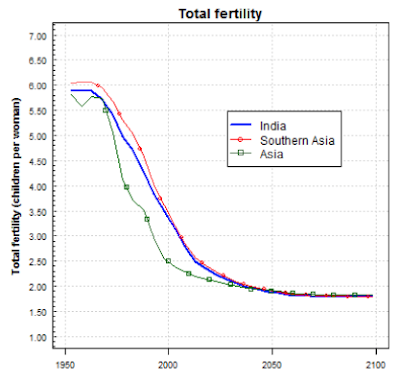 The baby bust will also have much deeper implications for the world's economy. 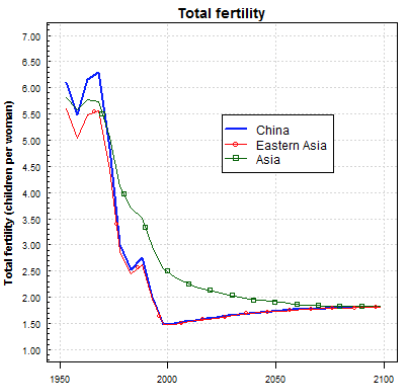 ...one has to wonder what the impact of population stasis will be on the global economy which has become completely reliant on the "growth at any cost" model of quarter-on-quarter and year-on-year profit growth. What will be the impact on the housing markets and stock markets when it becomes apparent that demand is falling (or remaining static) and supply is rising. In the case of the United States, some housing markets in the northeastern region are already seeing the negative impact of aging populations on housing valuations as you can see in this article. Even more frightening is the impact on pension plans, both government and private. With fewer people contributing and more people collecting, the pension Ponzi scheme will become readily apparent to just about everyone. This proving me correct. 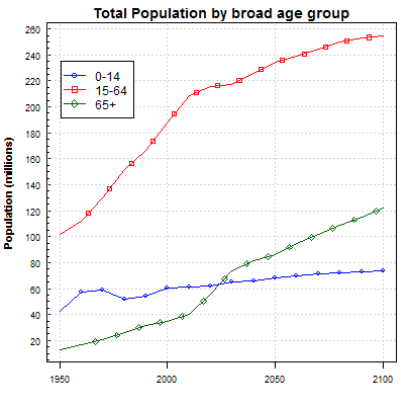 For a lot of people overpopulation of the world is a major issue. 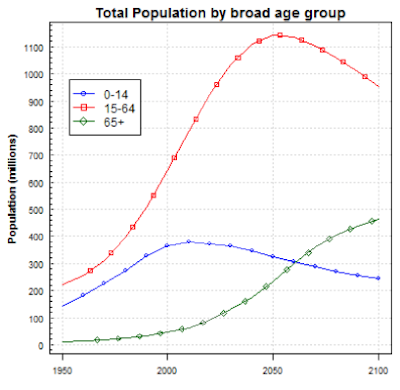 But my counter argument is that as a society becomes educated and children become more of a burden and hindrance to "success" within these educated society it is inevitable that the population with either drop below the replacement rate or will hold just about steady. Including Japan would be relevant. They are aging rapidly there without young workers replacing them. 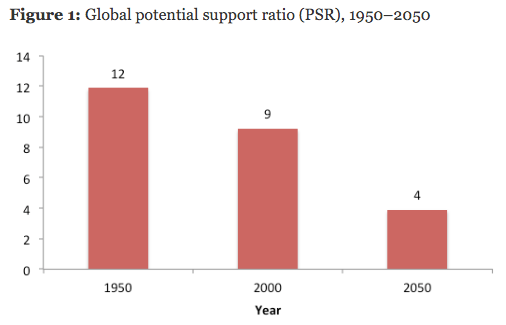 The support ratio dropping from 12 to 4 (on a global basis) appears to be a huge problem. However, reading this I was stuck with the notion that the 12 to 1 ratio does not take into account the actual number of people that are not in a position to support anyone. A significant percentage of world's population is living in extreme poverty, and therefore not providing a great deal of support as it is, so part of the solution to this problem might be to find a solution to world poverty. From what I'm seeing on-line regarding world poverty, 80% or more of the population is offering no help whatsoever in the support of the aging population (say 72%, if we assume 10% of the poor are themselves over age 65). 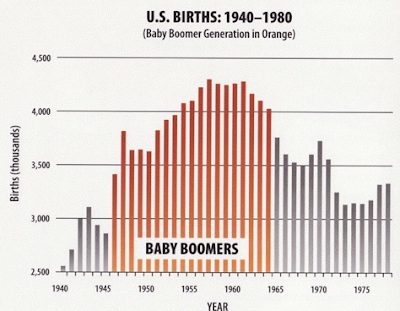 This means that the assumed current support ratio of 12 to 1 is really only 3.36 to 1. If we eliminated world poverty by 2050, we'd actually increase the ratio from 3.36 to 4. 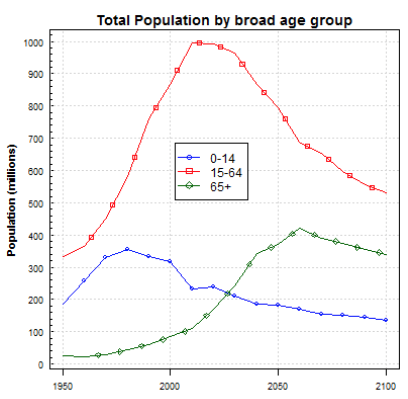 But since that is extremely unlikely, to say the least, if we could say reduce world poverty by a third, it would seem that this would go a long way toward helping solve the aging support ratio issue as well. PLUS, that would free up at least some resources now devoted to supporting the world's impoverished masses. Something to consider. Unfortunately, it seems the world is headed in the opposite direction ... where we are ever-increasing the proportion of the world's population that are too poor to help. The main point here is that the 12 to 1 ratio merely represents the raw headcount numbers alone and ignores the fact that a significant portion of the 12 provide no support. Ending world poverty is a dream. If the top 1% of the global economic wealthy people gave just 1% of their wealth to the poor in the world you would not see the poverty that those same wealthy have created. Consider that the top 1% have so much "Expendable Income" compared to the poor people of the world - now who keeps the poor drained of resources ?? Ah ha, the wealthy are creating government programs thru the United Nations and the US to "Bleed" the ignorant of everything. The next step for the wealthy is to crush the middle-class citizen to eliminate the competition. The important thing for everyone who is not in the top 1% wealthy group to try to get a better understanding of how this global economy got this extreme. Donald Trump - The Tax Hiker?